Renowned overclocker Der8auer has maintained a good stream of videos that detail the Intel Core X series processors. The enthusiast is known for his recent delidding videos and also crucial details that cover the X299 VRM issues. The latest post by him exposes the Extreme Core Count die that is being used on Intel’s 12 to 18 core Core i9 CPUs. Most tech readers are really interested in die shots, especially GPU dies since that gives them an exact figure of the transistor density that those chips pack. CPUs generally don’t feature the same level of transistor density as GPUs but they are still an engineering marvel as most of the processing in desktop computing is handled by them. 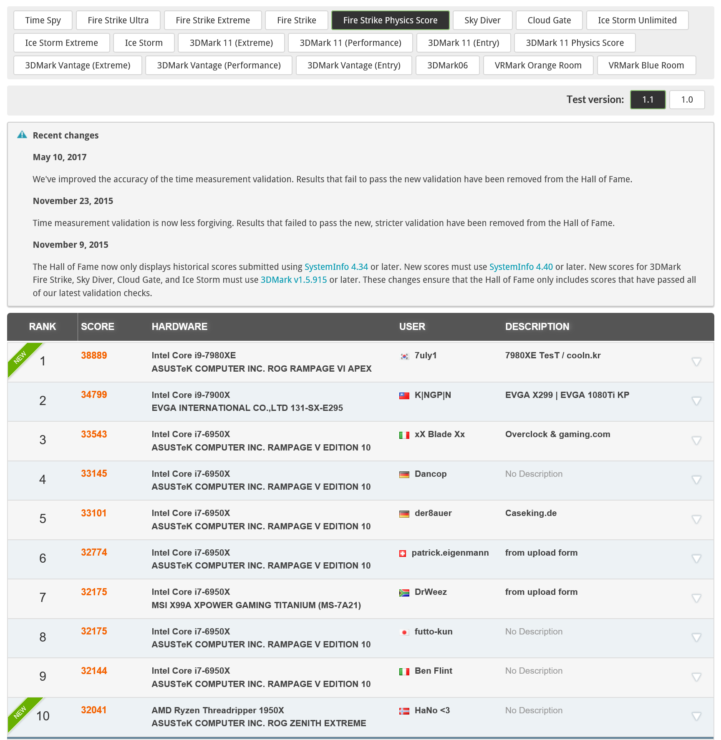 This year has sparked a revolution, Intel and AMD have all released chips that broke past the 10 core count barrier. We have the 16 core Ryzen Threadripper behemoth that delivers exceptional performance with a disruptive price tag and we have the 18 core Core i9-7980XE featuring a ground breaking 18 cores on a single die (albeit at a highly premium price). The Core i9-7980XE is still a month away from launch but Intel has released their 12 core, Core i9-7920X chip. The chip is available for sale, so taking advantage of this, Der8auer has completely stripped one off to expose the massive die underneath it. Starting with the details, the Intel Core i9-7920X and the latter high core count variants will be using a die that is different than the one featured on current Core X series processors. Intel is terming it the XCC which stands for Extreme Core Count. This die will be featured on the 12, 14, 16 and 18 core variants. The die is surprisingly bigger than the one featured on the Core i9-7900X, a 10 core processor. 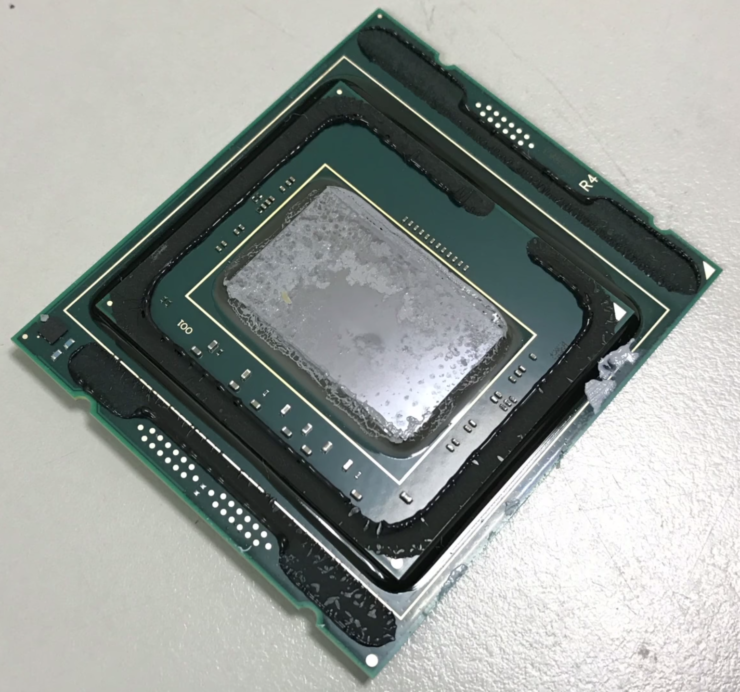 The Intel Core i9 XCC variants are said to be compatible with the Delid-Die Mate X tool making delidding slightly easier for users that are interested. It is also worth noting that Intel still hasn’t soldered the chip, continuing to rely on a TIM solution. This may cause some outrage but making delidding easier means that users will have the ability to apply better TIM solutions themselves. Although I think that Intel should either have soldered or used a better TIM solution than the one they are using now (also generally referred to as Toothpaste by the PC Tech community). 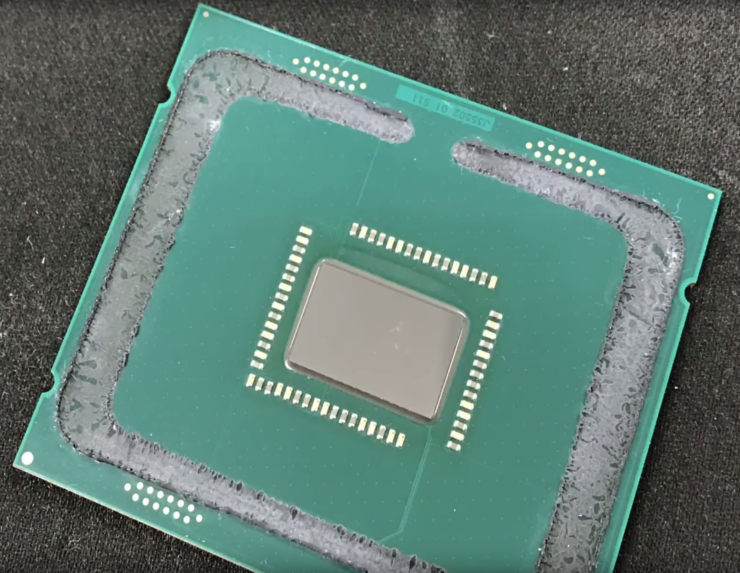 Der8auer has also covered die shots of Kaby Lake X and Core X (MCC) in his previous videos so you can take a look at them for better comparisons with the huge XCC die. The chip was delidded and better TIM was applied. 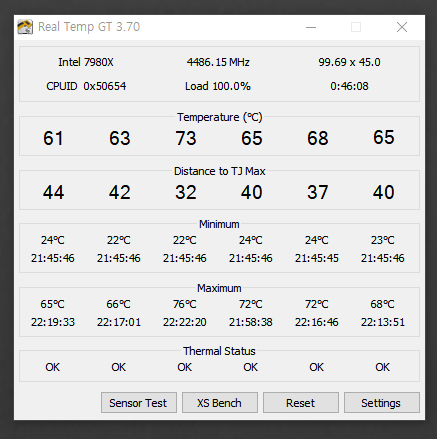 Liquid cooling was used so that’s a good thing as this overclock was achievable on a high-end cooler and not LN2 as we would have expected. 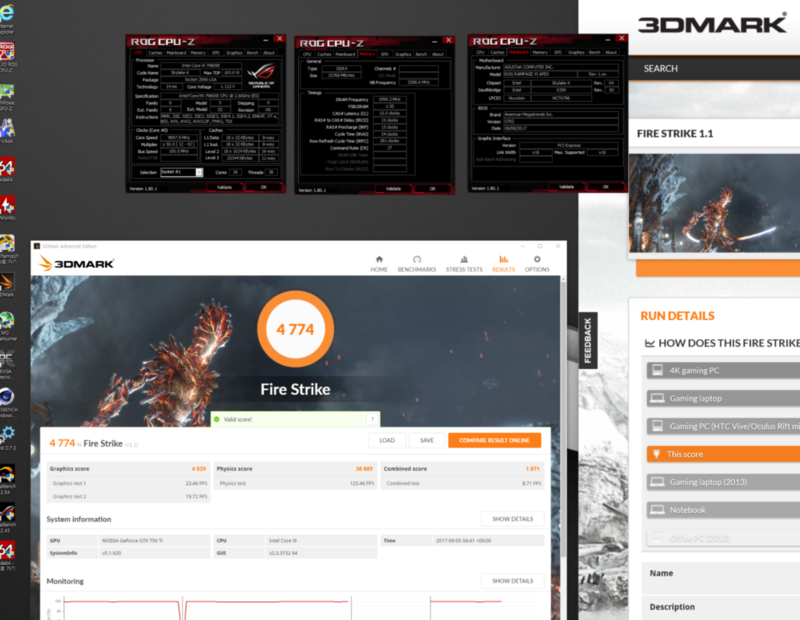 The chip currently maintains the highest physics score on the 3DMark Fire Strike Physics test database. 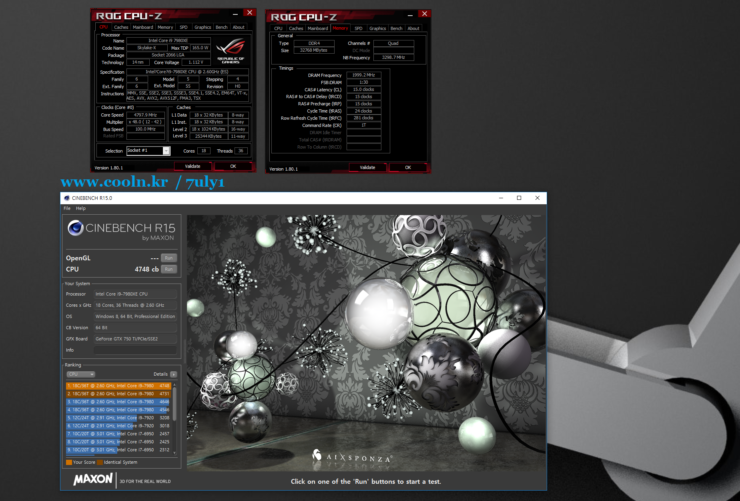 The testing also confirms that boards like the ROG Rampage VI APEX can maintain a high overclock on such processors. 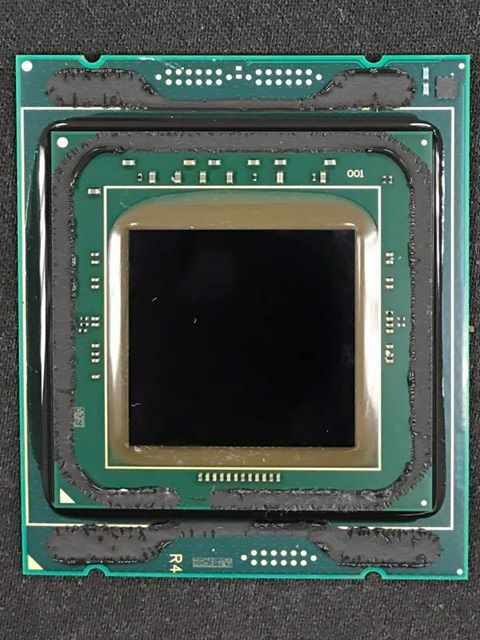 You can also see that the Core i9-7980XE uses the same die as the Core i9-7920X. 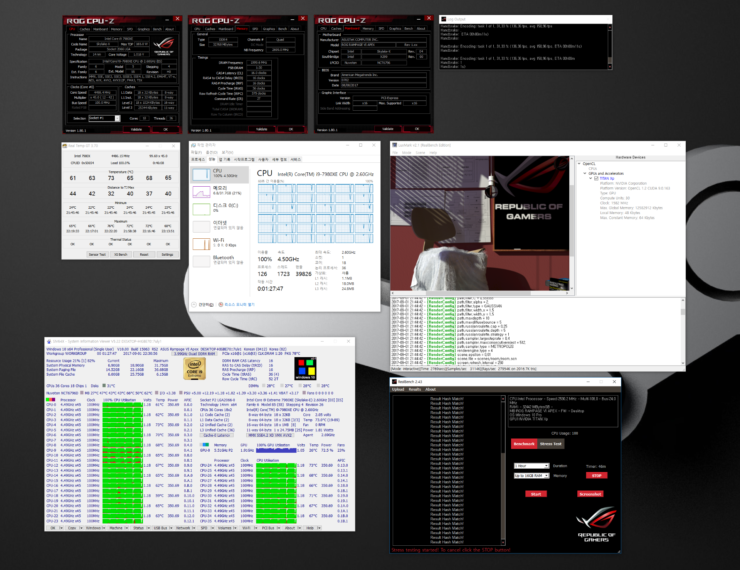 There are some additional scores such as Cinebench R15 tests at 4.8 GHz which reports 4748 points in multi-threading benchmarking. 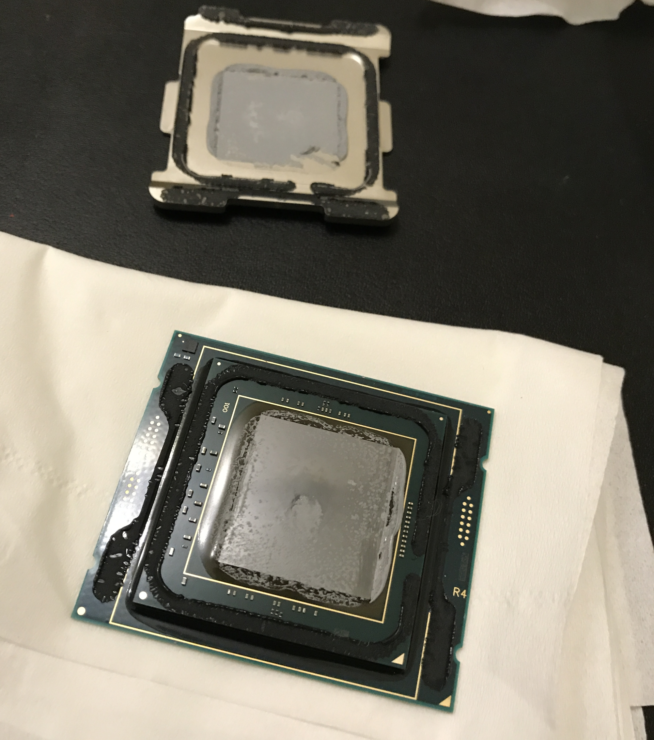 There are also cooling performance tests done before and after delidding at stock clocks. 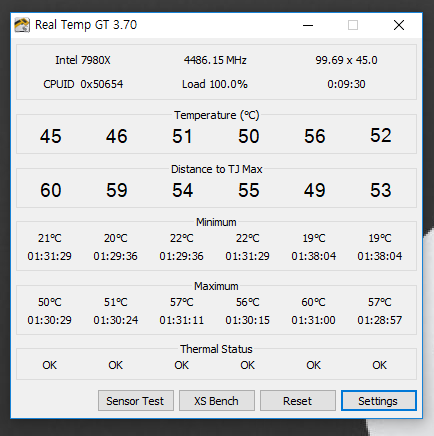 The chip maintains under 60C after delidding at full load which seems like a plus. 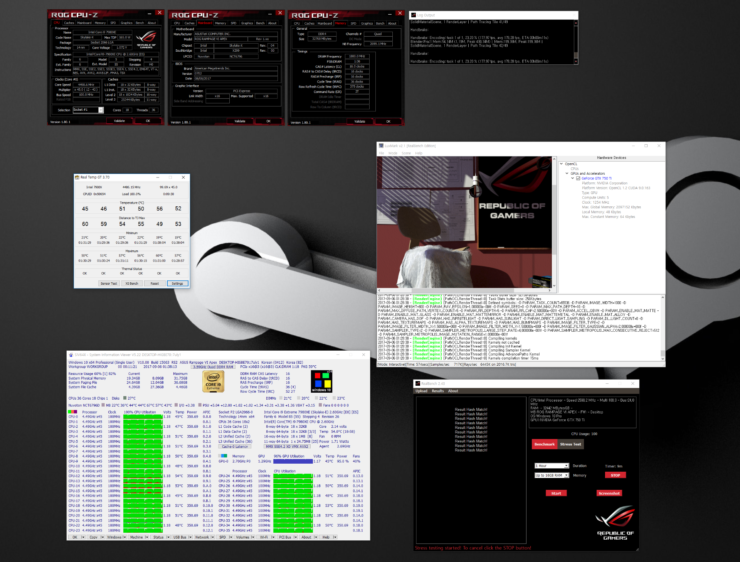 Overclocking can trigger higher temperatures so users should be cautious of supplying high voltages to their chips. Expect more details on Intel’s XCC Core-X processors in the coming month.